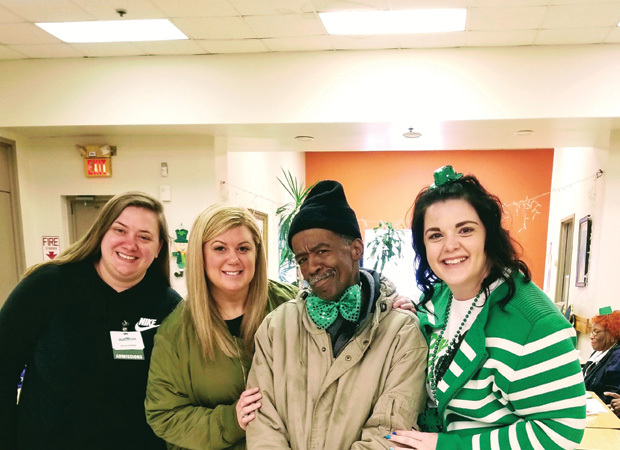 A few weeks ago Veranda Gardens and Hearthstone had the privilege of hanging out with the wonderful people at CASS -Cincinnati Area Senior Services-OTR. We played Bingo and celebrated St. Patrick's Day! Can't wait to go back!!! We love our community and how we can connect together. We are committed to the highest level of quality, customer service, and creating a "Culture of Care" - inside of Veranda Gardens and in our community as well. With strong Christian values and heritage, Veranda Gardens and its parent company, Foundations Health Solutions, are committed to serving our communities with the highest level of clinical excellence and resident satisfaction, along with a strong employee culture which places priority and resources on the direct caregiving team. Veranda Gardens and Hearthstone had the privilege of hanging out with the wonderful people at Cincinnati Area Senior Services (CASS). We are committed to the highest level of quality, customer service, and creating a "Culture of Care" - inside of Veranda Gardens and in our community as well. Congratulations to the team at Veranda Gardens! Nursing Home Owner Works at Veranda Gardens as STNA! Check out this awesome story! © Copyright 2019 Veranda Gardens. All Rights Reserved.